First, let me start by saying there’s more to you than being JUST a mom. Sure, that’s the most important job in the world, but you’re also more. But now you want to start working. And doing it from home. Because you’re a mom, after all. Maybe you’ve been out of the work force a long time. Maybe nothing else really interests you. 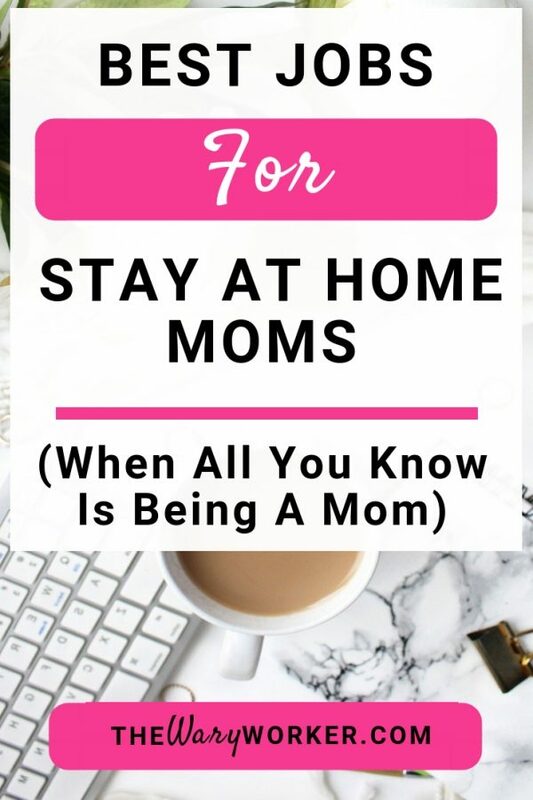 So, for all you moms who think there aren’t any legit ways to work from home because all you do are mommy things, today I want to talk about ways to use your mommy-ness to earn some moolah. And don’t worry, I’m not talking about surveys. Or mystery shopping. Or renting out a room. I’m talking about the LEGIT JOBS that let moms still be moms. I’m a big believer in outsourcing child care…as long as it’s another mom doing the outsourcing. She got started by finding a request on NextDoor.com by a new mom who needed someone to watch her son while she worked. One conversation led to another and now Kimmi is paid $200.00 a week to watch this little cutie. Another option is your city’s Facebook group. I see A LOT of people needing sitters ! 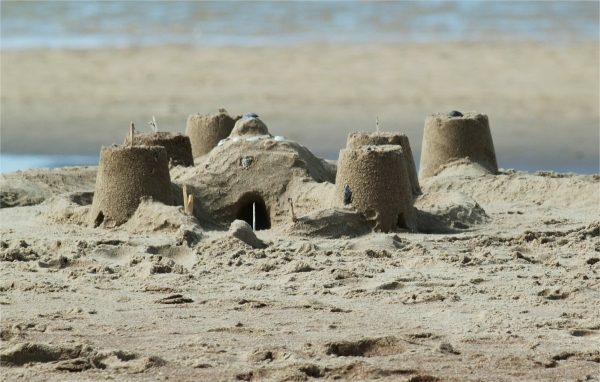 Do you take your kids on trips and excursions? Oooo…I bet you know all the best places that cater to children so they stay happy as clams. Working as a travel planner is right up your alley ! OK, I’ll admit this one does require you to be on the phone. But heck, it’s a fun job if you like making travel arrangements ! Besides, chances are pretty good you’ll eventually communicate with customers via email or chat. I discovered this little mom-job niche kind of by accident when an old acquaintance left her nursing job to fulfill her love of hanging out with Mickey Mouse. She’s now a Disney Travel Specialist at Magical Vacation Planner, making over $1,200 a month. And she only works a few hours a week. Lucky girl ! I gotta say, Disney trips are super hot with kids ! Alternatives to Magical Vacation Planner are Love The Mouse Travel, Mickey’s Travel, Mouse Hunters Travel, and My Mickey Vacation Travel. Unlike so many other articles out there, I’m not going to sit here and tell you that blogging is one of the best ways for stay at home moms to make money. It’s not. It takes so darn long to see any results. …you can start earning a living almost immediately if you blog for other blogs. And there’s a huge trend in the mommy and child niche. Exactly what you know, right ? Creating content covers things like sourcing and editing images, scheduling post publication, and updating blog posts (just to name a few things). But writing is the most in-demand content creation task. Carolina Parent generally pays $100-$300 depending on the word count and publication the content is being written for. Her View From Home pays up to $100.00 per article on relationships, family, parenting, kids. Yummy Mummy Club pays up to $100.00 for original articles. Go to ProBlogger and check out the job openings. See all those content creation jobs ? Click on any one of them to see the requirements. Are you a good fit ? Or, if you want to expand out of the parenting/child realm, check out Journalism Jobs. There’s a nice variety of writing jobs in the journalism field. If writing interests you but you’ve never given it a go, this easy to follow course sums it all up for you. OK, you have a knack for relating to children, awesome. But you may not want to be a teacher. I get you. But this isn’t your typical teaching or tutoring kind of job. Working a flexible schedule, you will teach students whose primary language is NOT English to speak conversational English. Basically, how to carry on a coherent conversation. And your students are mostly children in China (but don’t worry, you can do this job from your home). If you have a Bachelor’s Degree or some kind of leadership background (coach, pastor, mentor) and want to help kids learn how to speak English, go for it. This is a fun job that pays over $20.00 an hour. Qkids and Magic Ears are my favorites because of the flexibility and pay – which can be as much as $25.00 an hour. Not sure if this is for you ? Check out my article on this subject: Best ESL Companies. You’ve probably read this one before and scoffed, “make money with my photos…riiight.”. But you really can ! Bloggers are always looking for quality images. In fact, they need awesome images. A lot of us “seasoned” bloggers don’t like to use the free images because those are the pictures just about every newbie blogger use. So we spend a few bucks and buy some appealing pics. And that’s where you profit. With cell phone in hand, take some pictures of…whatever. Your kids doing a puzzle, the view looking up into a group of trees, a park, the sunset, a cluttered desk. Anything. Foap, Alamy, EyeEm, Shutterstock, Crestock, are some popular places people go to to buy photos, so it stands to reason you stand a chance at making money. But it gets better. Etsy (here’s a good tutorial) and Fiverr are awesome platforms to set up a photo selling “business”. Like I said, one-of-a-kind images are in high demand. It’s a numbers game. 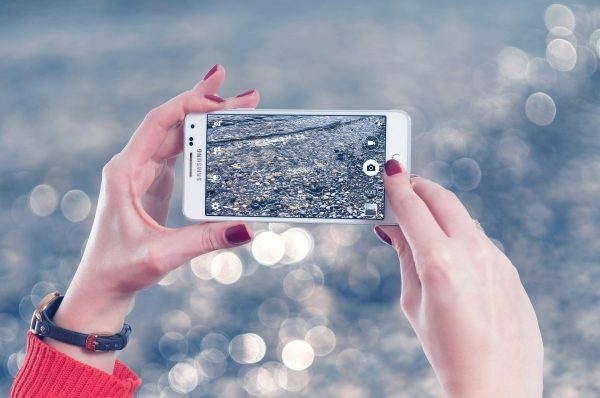 The more pics you have to sell, the better your chances of making money. Try to stick with a niche. Personally, I – and all my fellow “work from home” bloggers – look for images with a specific feel; usually pictures that include a laptop, a desk, or an office scene. 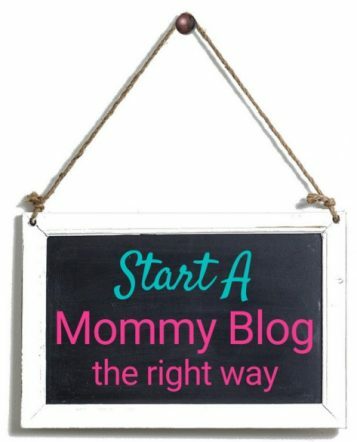 Mommy bloggers look for images showing kids doing stuff or moms working on specific projects. Images without faces do better on Pinterest, according to this study, which is cool if you don’t want your child’s face all over the internet. These jobs aren’t specifically mom or child themed but they are legitimate. And yes, they are flexible, so you can still be mommy-on-demand. Social media is not going away. That’s great for you, mommy, because you can make a nice little fortune managing the social profiles of just about anyone: bloggers and business of all sizes. If you think you know enough about the big social platforms, get on Upwork and start contracting out your social media specialist skills. But here’s a little secret: Pinterest is quickly becoming a profitable side gig as it gains ground among business owners. And if you’re still in the” thinking about it” stage of making a go of this kind of work, this complete online course will help get you going. 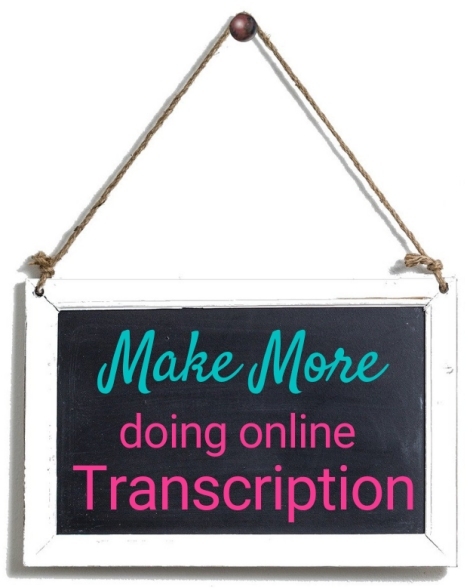 There’re a ton of articles telling us that online transcription is one of the best ways for stay at home moms to make money. Unless you have a lot of experience and really good training, then we’re talking pay that’s over $50,000.00 a year. Easier said than done, especially for a busy mom, right ? A while ago, I looked into what is needed to make a good living doing transcription work from home. Turns out, there’s more to doing transcription than fast typing and careful listening skills. You can do all the practice tests in the world and work for all the “popular”online transcription companies, but without knowing all the little details that save you time and energy, you’ll just be stuck. The best place I know that gives thorough training is the transcription course I wrote about in this post. As an alternative, this shorter course is pretty good. If you’re just now thinking about trying your hand at transcription, go ahead and build up some experience by working for Rev, GoTranscript, or Scribbie. They are the best payers for beginners, based on my research of the “better” transcription companies. Then go for the training and better payers. Most people call this kind of job a Virtual Assistant, but I think that is such a vague description. I like to call this line of work Online Administrative Assistant because it tells us the role is specific to administrative tasks…not picking up dry cleaning or taking kids to birthday parties. 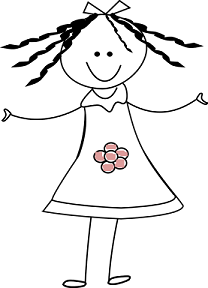 This is an awesome way for moms to make money from home because you can narrow your niche down to what makes you happy. And what works for your schedule. To get started, think about the office-y kind of things you like to do. Is it crafting and responding to emails ? Is it scheduling appointments and meetings ? Is it transcribing recorded seminars into text ? Maybe it’s web design or creating logos ? Go solo and find your own clients via Upwork. is pretty darn good, too. This is a high-demand job among blog owners because we’re human and make type-O’s. In my case, a lot of them. So, we pay to have people do the work for us. In this case, bloggers pay to have people proofread their posts before they are published. 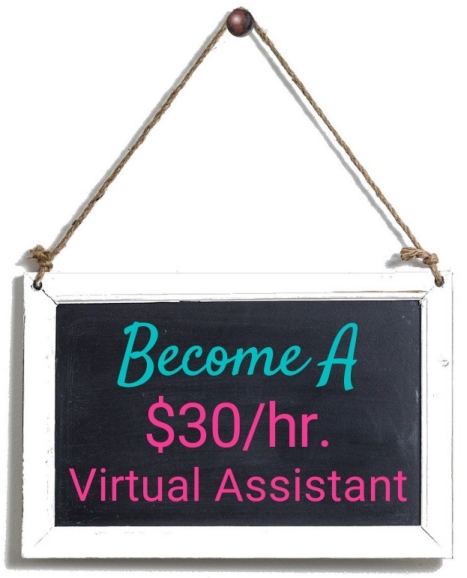 It’s not too out of line to think you can make over $30.00 or an hour as a proofreader. 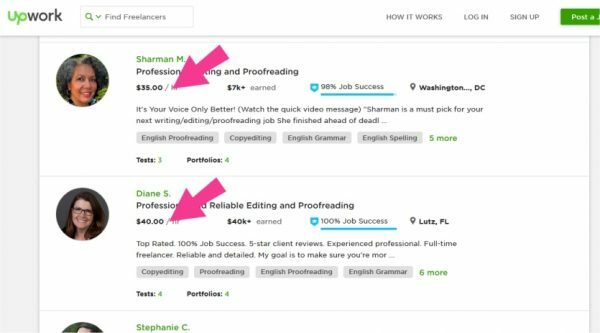 In fact, take a look at these freelance proofreaders who make good money peddling their skills on Upwork. If you think you have the chops to be a proofreader – meaning you can spotting the common and not-so-common grammar mistakes – then I say “go for it”. Not sure how to get going ? Ahhh…Caitlyn Pyle’s Proofread Anywhere course will get you there. 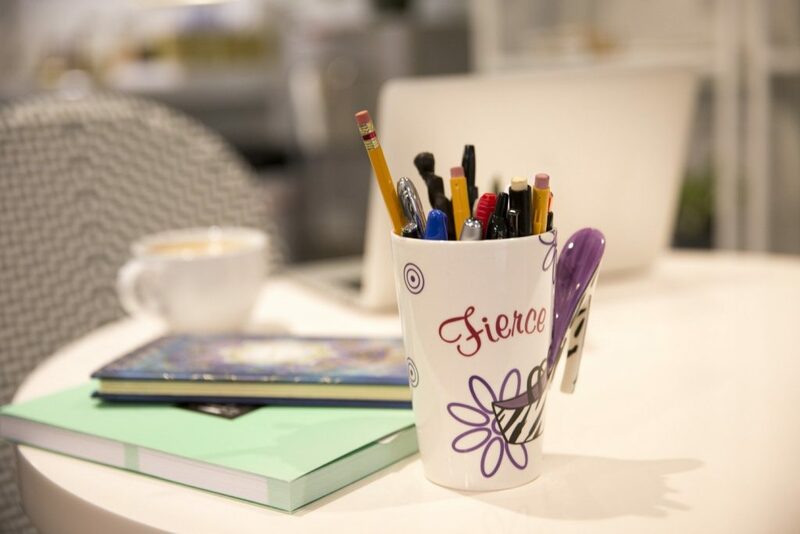 Hey Moms, Ready To Start Working From Home Today ? As you can see, there are quite a few options for you, mom. Even if you still think being a mom is the only skill you have, it’s nice knowing there are ways you can make money. Because working from home is for everyone ! Which job from today’s post are you interested in ? Or do you just have a question ? Either way, I’d love to hear from you so feel free to leave a comment below. I defiantly agree on the work from home travel planner job. You can work your own hours and build a base of clients all while learning about and enjoying travel. Becoming a travel agent is a great way to work from home, work as little or as much as you like and also see the world. I would pick a few travel vendors to learn and understand and then grow from there. Great article packed with useful information and links. I do however find it ironic that there are some errors your proofreader missed…in the proofreader section! Consider this my official job application! Aha ! You caught them ! I did them on purpose; good job. Another great article. I’m definitely bookmarking your blog. This is great information!